Does an author have the right to prevent people from copying their book(s) for free? 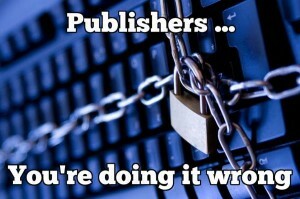 Should authors have this right? Does it matter? Does Copyright Matter? by Tim Parks | NYRblog | The New York Review of Books. Here is Timeâ€˜s list of the 100 most influential people of 2011. Including the following authors Jonathan Franzen, Jennifer Egan, George R.R. Martin, and â€œtiger momâ€ Amy Chua. via The Millions : Timeâ€™s Authors with Influence.